Hi everyone! I happened to notice my son, Taylor, had his small stuffed tiger on his bed today. He's had it since he was around two months old and continued to carry it around so much that we would refer to the pair as Calvin and Hobbes, so I thought I'd do a little Hobbes style mani today! 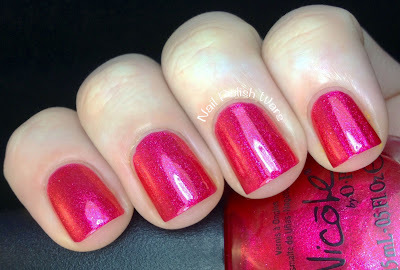 I started off with two coats of Nicole by OPI Scarlett, a bright red shimmer with a purple undertone. 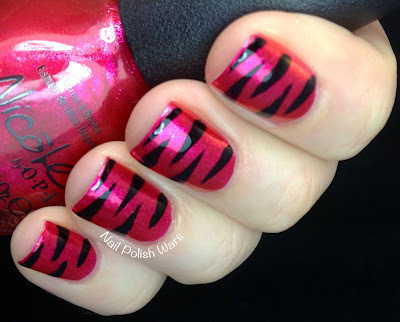 I then used my Kiss Black Striping polish to create some basic tiger stripes across my nails. I finished with one coat of SV. I was going for more of a cartoon stripe look, and I'm really happy with the way it turned out. I hope you enjoyed it as much as I do! 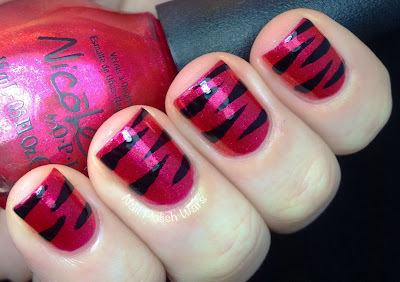 I love seeing the accentuated stripes on that pretty red. As Tony the Tiger would say "They're Gr-r-reat!" So sweet and nicely done. Cute! 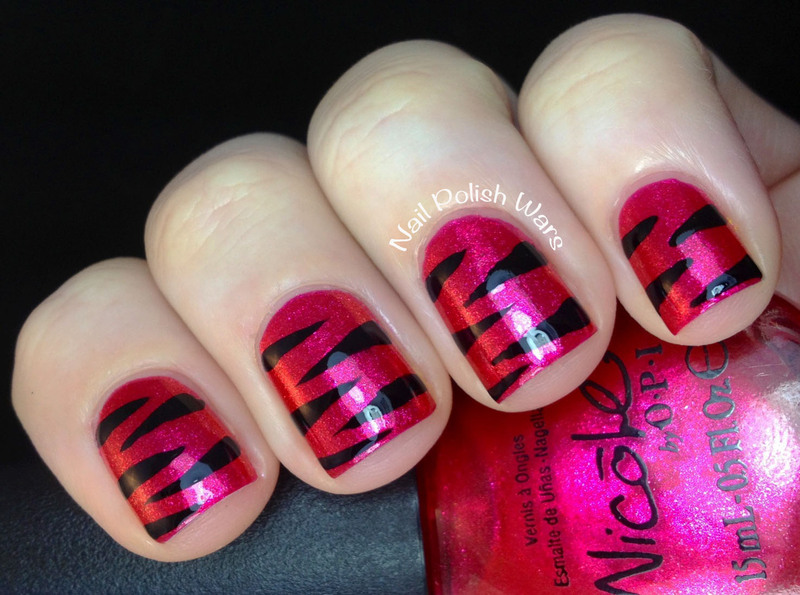 I like the larger animal print. 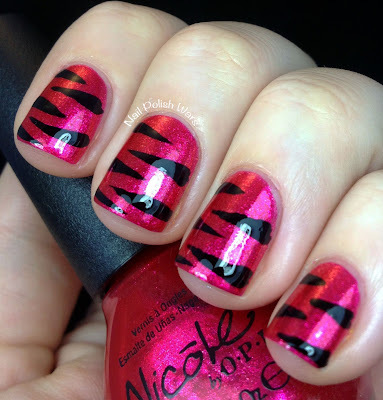 i LOVE pink and black animal print, can never go wrong. you lines are so perfect too, i thought you did this with striping tape! This is too cute! My husband LOVES Calvin and Hobbes!